As many of you already know, I am passionate about finding simple, inexpensive resources that can have profound impact on your health. And breathing is one strategy that can make a tremendous difference in how you feel and age, yet it receives little attention. After all, you breathe in and out without conscious thought. As soon as you stop, you die. Surely everyone’s got this one all figured out already? Not really. In fact, improper breathing is more the norm than the exception these days. So implementing a breathing technique may actually be one of the most beneficial things you can do to elevate your physical health and soothe your mind. Actually, one of my first journeys into natural health was in the early 90’s, when I attended several week-long seminars in Southern California to learn different breathing practices. They were all very useful, but a bit complicated to perform without proper instructions and practice. There are many different breathing practices that you can try, but here I’m going to share with you one that is both powerful and very easy to perform. I like to do it before each meal as that ensures that I will do it at least three times a day. I also like to combine it with gratitude for my meal, so for the two minutes it actually takes to do the technique, I seek to focus on gratitude for not only the food, but all the blessings in my life. I recently learned this one when I attended a presentation by Dr. Weil at Expo West in California. In the presentation summary he outlined some of the best resources he’s learned over his clinical career for improving health, and topping the list, interestingly, was a breathing exercise called the 4-7-8, or Relaxing Breath Exercise. The key to this exercise is to remember the numbers 4, 7 and 8. It’s not important to focus on how much time you spend in each phase of the breathing activity, but rather that you get the ratio correct. You can do this exercise as frequently as you want throughout the day, but it’s recommended you don’t do more than four full breaths during the first month or so of practice. Later you may work your way up to eight full breath cycles at a time. The benefits of this simple practice are enormous and work as a natural tranquilizer for your nervous system. Personally, I think one of its greatest values may be gained when you combine it with your meals. Most of us eat three meals a day, so it makes remembering to do it easier. Also, I believe that combining it with the attitude of gratitude for the healthy meal you just ate, or are about to eat, can have a powerful, beneficial influence on your health. 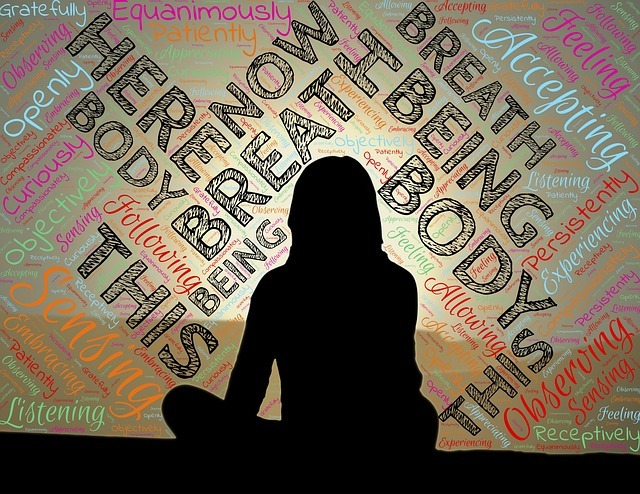 Self-applied health enhancement methods like the 4-7-8 breathing technique are particularly remarkable because of the broad array of real health benefits that are triggered. Learning to breathe mindfully can modify and accelerate your body’s inherent self-regulating physiological and bioenergetic mechanisms. These changes are in large part due to the fact that you’re oxygenating your body properly as well as correcting your internal and energetic balance, and it has a direct impact your nervous system. This in turn affects your entire body and its countless cellular functions, including all of your subtle energy systems. The web site breathing.com offers a list of clinical studies into the health benefits of optimal breathing. One such study, which spanned a 30-year period, concluded that the most significant factor in your health and longevity is how well you breathe. It’s also important to realize that much of hypertension is controlled by the way you breathe, so breathing exercises are an excellent adjunct to your other healthy lifestyle strategies to control high blood pressure. Another obvious use for the 4-7-8 breathing technique is to use it whenever you feel stressed or anxious. It’s a powerful way to help relax your system without drugs. Best of all, it doesn’t cost you anything but a couple of minutes of your time! And, if you commit to it, I believe you’ll be absolutely shocked, and pleasantly surprised, by how quickly and easily it can center and relax you and allow you to achieve high levels of health. For even more breathing practices, I recommend you read the article Breathing Exercises and Self Healing, written by Roger Jahnke, O.M.D., or see Dr. Weil’s website for additional exercises.